Source: Google's quest to build a better boss. Even though I have been very lucky to always have exceptionally good managers and great colleagues; I thought it'll be great to write my views (in italics) on the article, as part of "a new dimension". They don't feel a connection to the mission of the company or sense that their work matters. They don't really like or respect co-workers. They have a terrible boss. As per the article this is the biggest factor. There are cases with personalities where they are not necessarily realizing they need a course correction. So it's just about being clear & saying, "OK, I understand what you are doing here, but let's talk about the results & this is the goal." The point of collating data is not to develop an algorithm for successful management. The point is to make people aware of it, so that managers can understand what works & just as important, what doesn't. The traps show up in hiring. Managers often want to hire people who seem just like them. 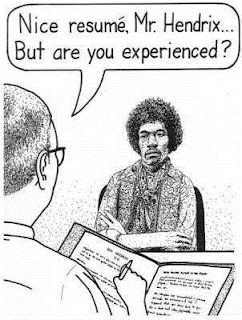 How well does the applicant know about his subject? Can he show me something valuable that points not only to his ability(which takes care of the experience part) but potential as well? How well does the applicant deal with people situations? Give problem scenarios. How can I test the learning capability of the applicant? Learning fast should be given the same importance as learning well. How good are the applicant's coaching skills? Does the applicant show demonstrable experience in this? We do everything to minimize the authority & power of the manager in making a hiring decision. I also liked the concept of cognitive bias – defined as a single personality trait that skews someone's perception of a colleague's performance. This was a fascinating discovery for me. I have been on both sides of the table. I have some time for them.